After World: Tales of the Post-Apocalyptic by Brittany Miller. Brittany Miller, 2018. Ebook. 66 pages. To begin, the only reason that I'm labeling this a mini-review is because this collection is only about sixty-six pages long and consists of nine post-apocalyptic flash fiction pieces/short stories. There's only so much I can say about each one without simply retelling each story to you. I've read only a small handful of post-apocalyptic books, so this is an area that I've been interested in exploring more of and which made me eager to explore this collection. Miller also pitched this book to me as having no zombies, which pretty much sold me because I am just not a huge zombie fan--I just don't get the appeal. I was really impressed by Miller's writing in these short little stories.She has a talent for saying a lot in a short amount of words, which showcases her deft skill at both word choice and the ability to develop a strong atmosphere. There is a very simplistic, almost austere quality about these stories, which seems to fit well with the post-apocalyptic genre of this collection. "The Pleasure Earth" and "The Man of Snow" were probably my two favorites for very different reasons. "The Pleasure Earth" felt so relevant and so honest, and I loved the bleakness that it ends with. "The Man of Snow" is probably the longest story of the bunch and is packed full of interesting things to ponder--I hesitate to go into any details because it'd be best for you to explore all of these without much knowledge going in. "She Dreamed of Horses" is one of the shorter, simpler stories one of the bunch, but I have to say that it is also one that has stuck with me. It is about a girl who only wants horses in a world where none are left, and it's subtle emptiness really grabbed me. Overall, I've given After World four stars! 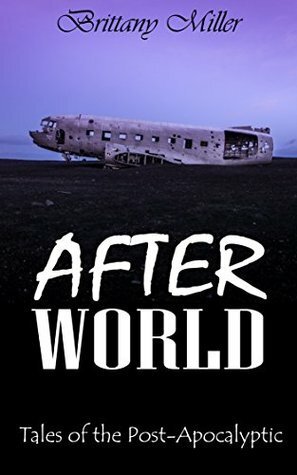 If you like short fiction, want to read more short fiction, or are a fan of post-apocalyptic stories, then I very much recommend After World! I'm not normally a fan of short stories, but I do enjoy post-apocalyptic stories, especially ones that are a bit unique. Great review!